FUTA Matriculation Ceremony 2017/2018 Postponed Indefinitely. 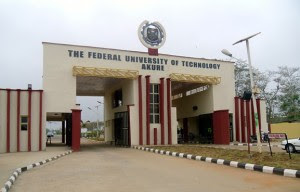 This is to notify all Fresh Students of the Federal University of Technology, Akure (FUTA) and the General Public that the Matriculation Ceremony earlier scheduled for Friday,February 9,2018 has been postponed until further notice. A new date for the ceremony will be announced in due course. All fresh students should take note of this development. We cherish your opinion and we look forward to it. Hence, If you have any question as regards FUTA Matriculation 2017/18, kindly scroll down to the comment section and we will respond in no time.